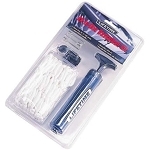 Tired of replacing those cheap, stringy basketball nets that fall apart? 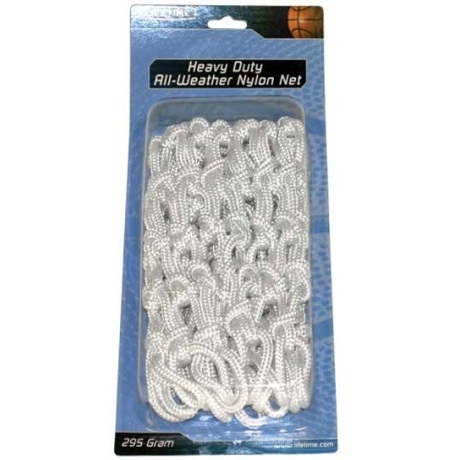 Then you'll appreciate this 295 g extra heavy-duty basketball net from Lifetime. Lifetime is known for its top-of-the-line basketball products and we're sure you'll be pleased with this weather-resistant polyester, extra heavy-duty basketball net. 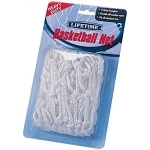 If you're serious about this game, invest in top quality with this long-lasting, basketball net from Lifetime. Fits any regulation-sized, 12 loop basketball rim. Net material of construction: polyester. I bought these to donate to a charity, so I don't have 1st hand experience with playability or durability, but they appear to be well made and constructed from quality material. Q: Can this net be used outside? A: Yes. This net can be used both indoors and outdoors. Get fast shipping! 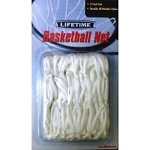 Orders for this Lifetime replacement basketball net generally leave the warehouse within 2 business days. Ships via FedEx for a doorstep delivery. No signature required for residential shipments.